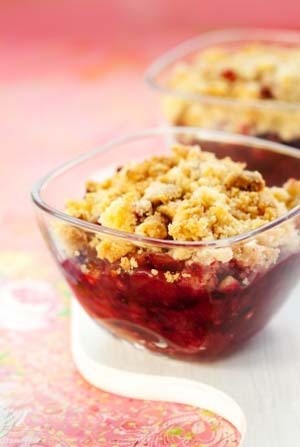 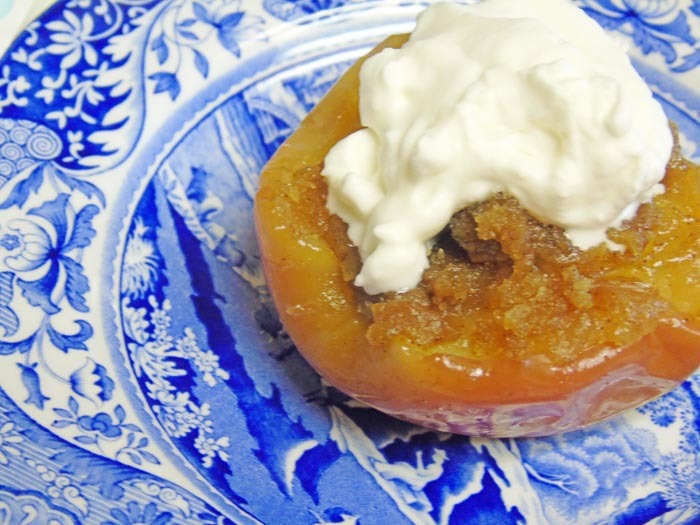 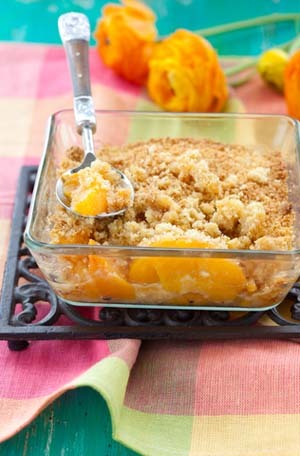 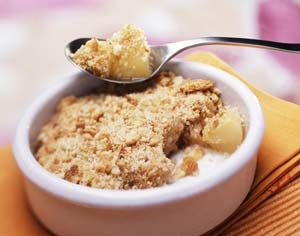 Gluten free recipes for cobblers, crisps, and crumbles, all safe for those with a gluten intolerance or celiac disease. 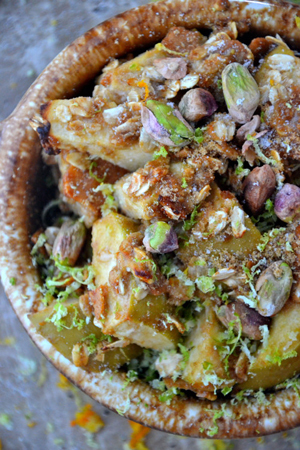 Delicious and aesthetically pleasing; developed by Carla Spacher, gluten free recipe developer to manufacturers. 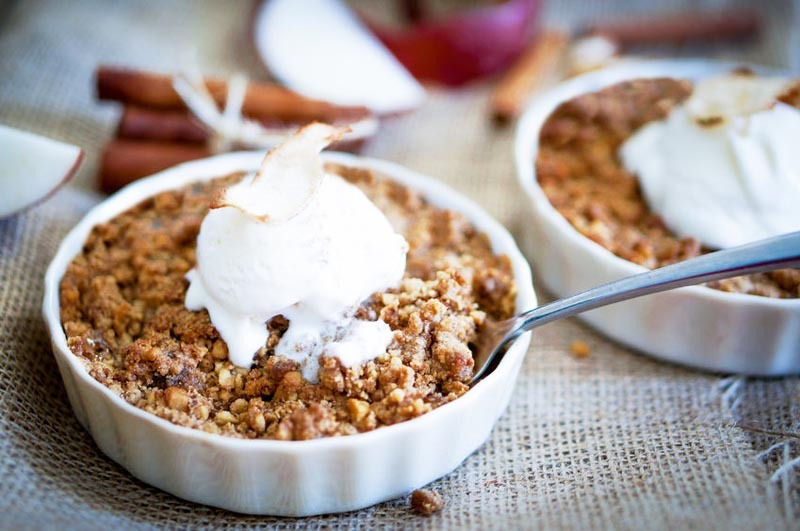 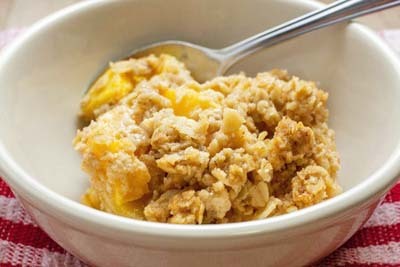 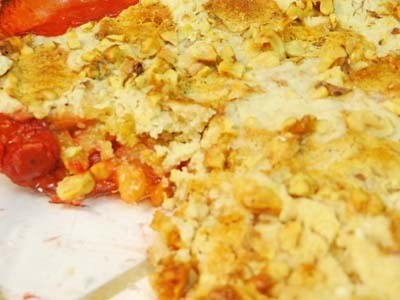 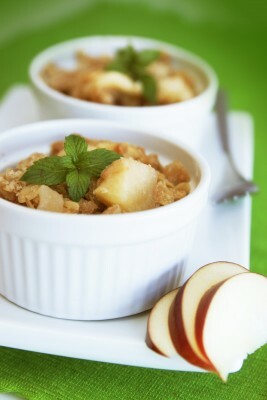 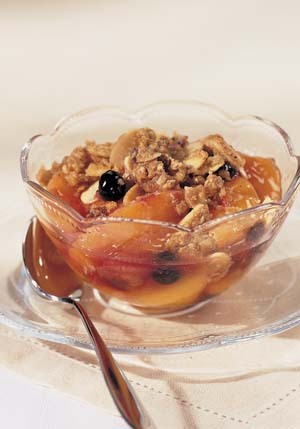 Continue reading "Easy Gluten Free Apple Crumble (Oat, Nut, and Dairy-Free Options)"
Continue reading "Gluten Free Campfire Apple Crisp or Crumble (With or Without Oats)"
Continue reading "Gluten Free Pineapple Cherry Upside Down Dump Cake"
Continue reading "Gluten Free Paleo Peach Crumble"
Continue reading "Gluten Free Crumble or Tart w/ Blackberry & Apple Filling (Sugar-Free Dairy-Free Options)"
Continue reading "Gluten Free Blueberry Peach Crisp"
Continue reading "Gluten Free Pear Crumble"
Continue reading "Gourmet Fresh Gluten Free Peach Crisp"
Celebrity Personal Chef, Culinary Nutritionist, and Professional Recipe Developer, Amie Valpone shares her sugar-free gluten-free apple crisp.